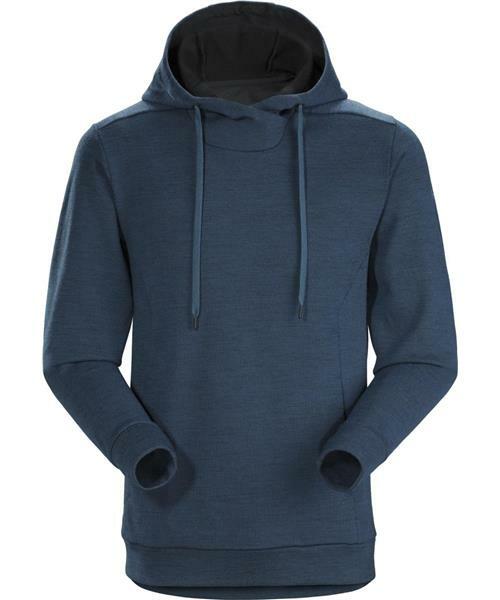 The Elgin elevates the classic hoody with a sophisticated look and a performance fabric. Made from Wynne™, the Elgin combines a soft fleece interior for warmth and moisture management with a Merino wool face for durability and natural odour resistance. The streamlined regular fit moves with the body and layers easily under a shell. The hidden front pocket design is clean but accessible, and the soft, full coverage hood adds warmth.